Matt Lauer, who was accused of sexual harassment and fired from NBC in 2017, thinks he’s going to be back on television sometime soon. 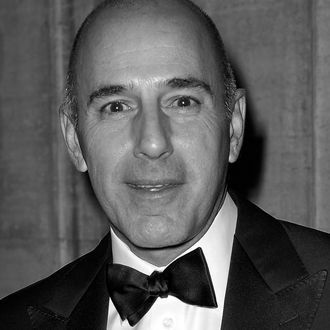 According to “Page Six,” Lauer was dining at a restaurant in New York City when he told fans that he would be in front of cameras again soon. When Lauer was fired from NBC, the network attempted to erase all traces of the former host, going so far as to demolish his office. It is safe to assume that he won’t be making any possible comeback at 30 Rock. Lauer hasn’t divulged exact details of his return to television, but this isn’t the first time there has been rumors of his return. Earlier in the year, reports surfaced that he was meeting with producers. He is one of many men revealed by the #MeToo movement as sexual predators to attempt to make a return to the public sphere. Charlie Rose, Louis C.K., and Lorin Stein have all reportedly sought avenues back into their former careers.